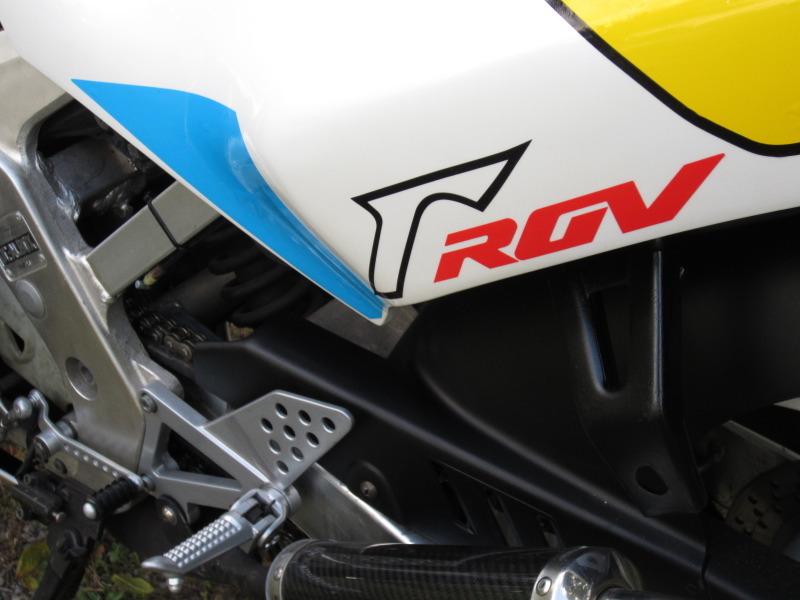 This is the first RGV SP, featuring a dry clutch as the most distinguishable difference. 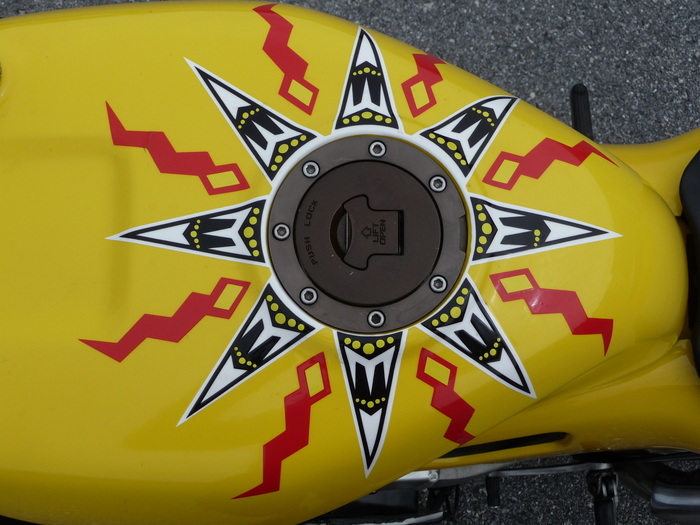 Along with front forks with more adjustments. 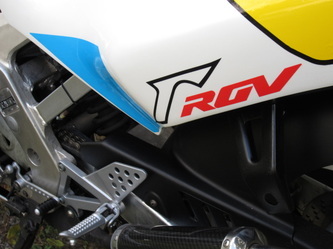 These early RGV’s have a 17″ front, 18″ Rear, combination. This one has Jolly Moto Expansion Chambers which are valued over $1,500 new. Beautiful Japanese machine. 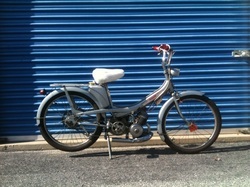 Vintage moped for sale in excellent condition for its age. Great for cruising at the beach, around campus or getting groceries. Reliable and a blast to ride. 38mph top speed on flat land. Ported Cylinder, modified piston, 15mm SHA carburetor, SIM performance exhaust, new chains, new brakes and cables. Bill of sale only. A transferable registration (proof of ownership like a title) can be provided for a small fee. If you live in MD, a bill of sale is all you need. Custom built Excel 17" wheels. 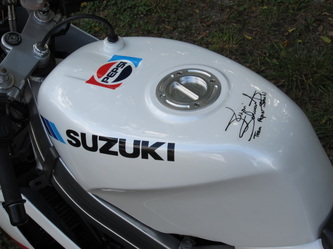 Bill's Pipe and silencer. 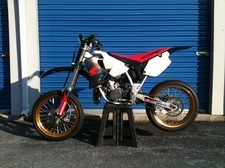 BBR fork and rear springs. 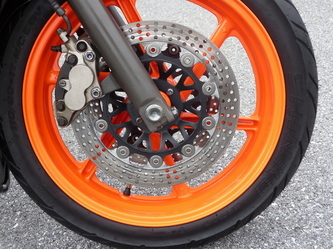 Oversized front rotor with stainless shell brake line. Ton of fun on kart tracks. 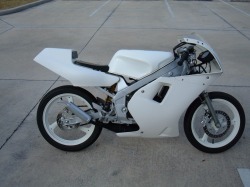 Freshly painted with pearl white with the Ducati 848 in mind. The bike is the street legal version of the NSR50 that was imported into the US in 2004. Mileage on the engine is about 5,000 miles . The top end was replaced around 4,000 miles. New reeds installed. 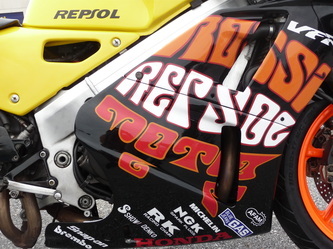 Kitaco mild exhaust. High temp silicon cooling lines. Steel braided front brake line. 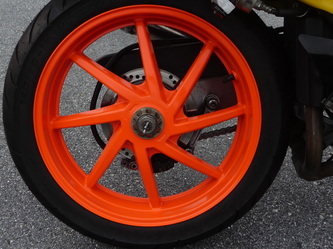 Brand new tires. Brand new brakes. 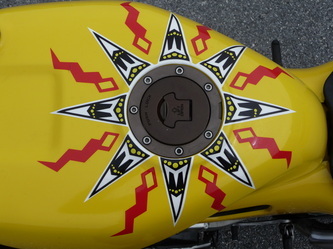 Trail Tech Digital Speedometer. The bike would be great to blast around town or for the track. 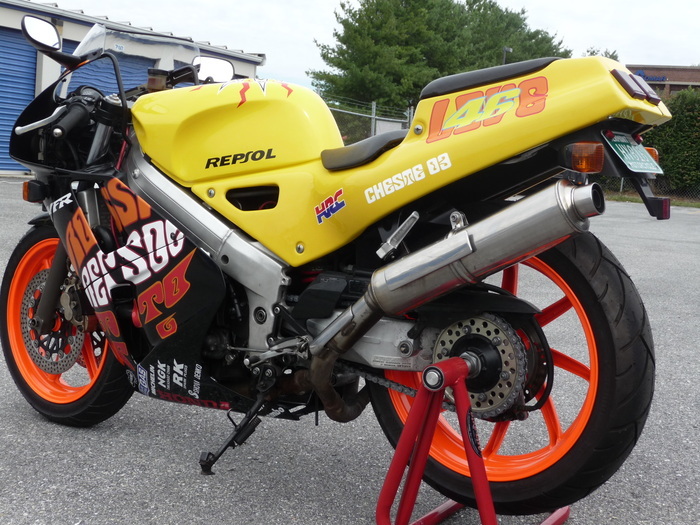 Street legal 2 stroke fun. 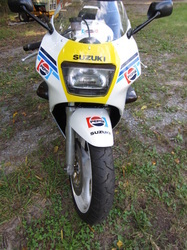 The bike is in good condition for its age. Just under 8,000 miles. New crankshaft bearings and seals along with fresh piston and rings just installed. Brand new lighting and source coil. Brand new 24mm Mikuni flatslide carburetor with K&N air filter. 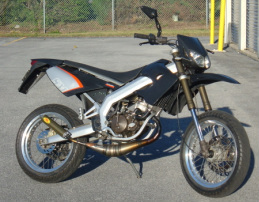 Toomey pipe and silencer Great bike for around town and back road blasting. 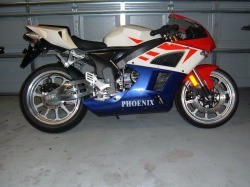 This is a very rare color scheme besides for the rarity of the bike itself. 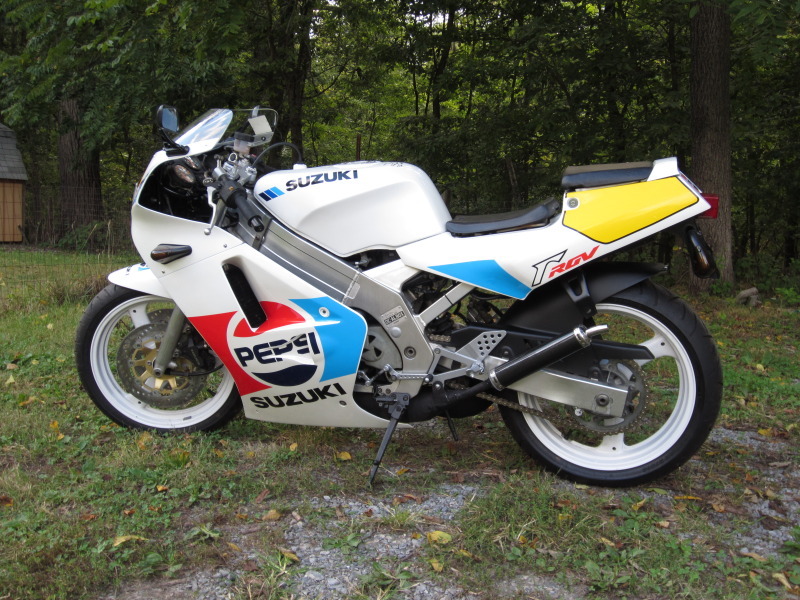 If it so happens you run into another nc30 on the road, they probably have the red/white/blue model. 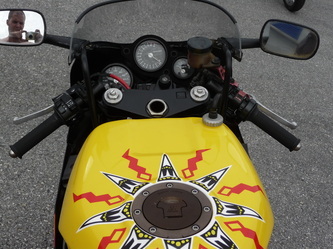 The bike is a 7 out of 10 condition. For being almost 20 years old there are some blemishes, but she still is a beauty. Imported to the states from Spain only for a few years. 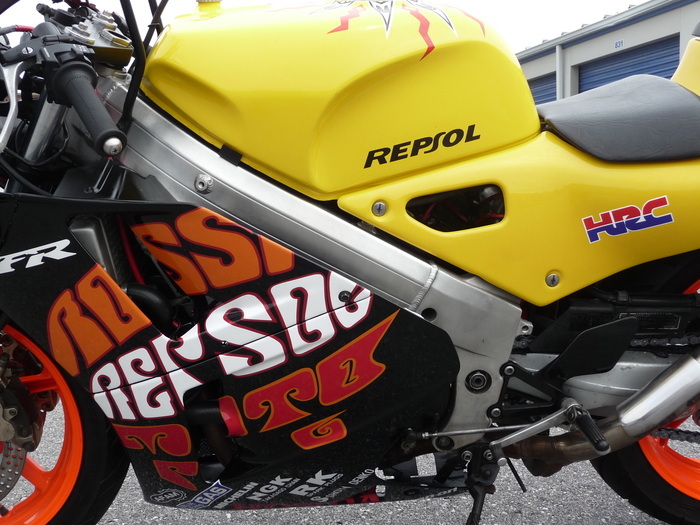 These rare bullets are a blast to ride, especially this one modified with Metrakit and Parmakit racing parts. 2 stroke fun on the streets! The bike is kind of boring with the stock 50 engine. 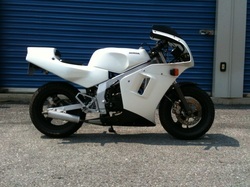 But with the big bore kit and other aftermarket parts, it is now like a YZ80... With current gearing it will go 75mph. Really fast from a 50cc based engine. 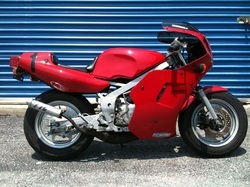 Fitted with new Parmakit Sp Crank, Parmakit 80cc big bore kit (Port matched), Metrakit Sp Exhaust, Delorto 21mm carb. 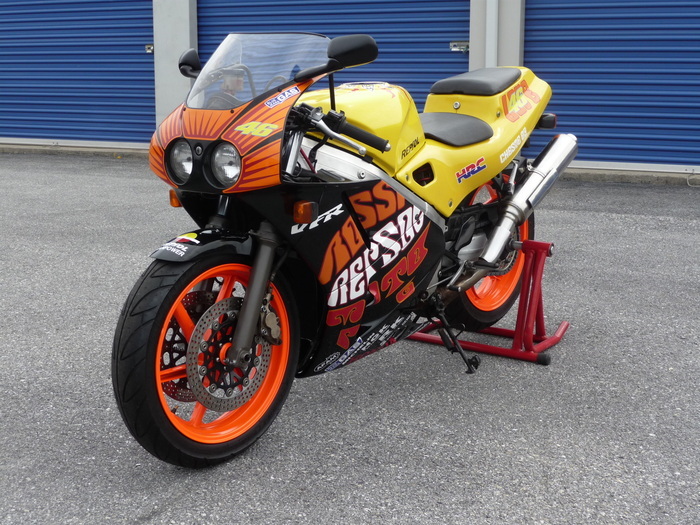 This bike is a collectors and enthusiasts dream! 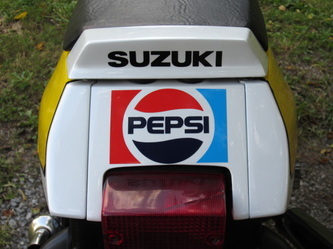 Being a Japan only motorcycle this model is hard to obtain. The V4 engine is incredible. She will rev up to 14,500! And with the gear driven valves, the sound is simply amazing. 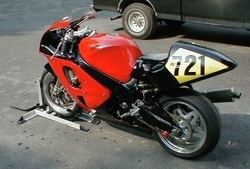 With scalpel like handling, the bike is amazing in the twisties or on the track. 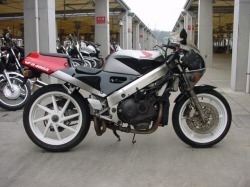 I have owned many bikes, not much compares to the NC30. Starting off with a $1000 Bandit in stock form. Stripped the bike down to the frame. Removed subframe and smoothed down all welds. Then finished with a gloss black powder coat. 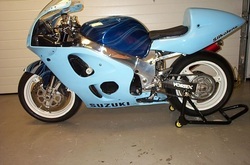 Custom fitted GSXR 750 front suspension and rear wheel. 2 Triumph shorty silencers welded to stock header for a sound that made choppers with straight exhausts turn their heads. 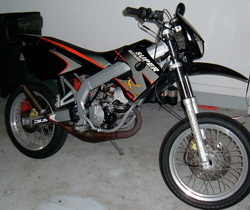 Street legal 400cc 2 stroke. 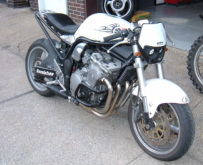 Sold with rare gold DG heads, DG pipes, also fitted with clubman bars. 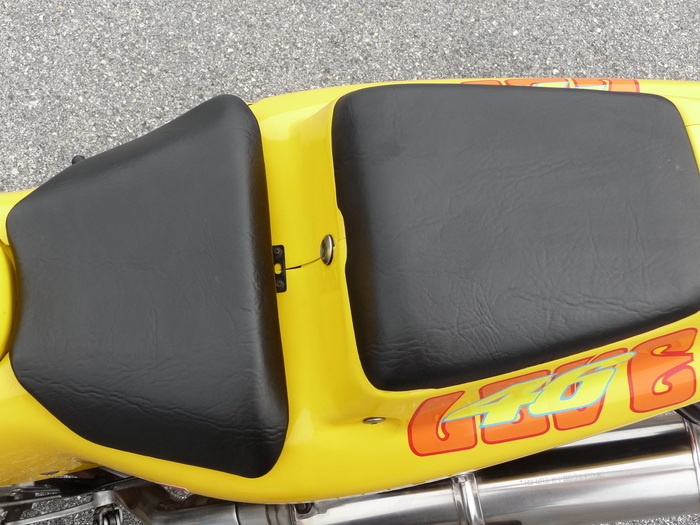 A blast to ride. Puts a smile on your face just riding around the block. This bike was a rare find. 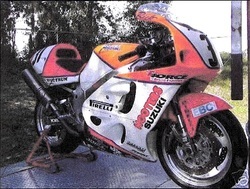 Picture below of when it was a Hooters race machine. 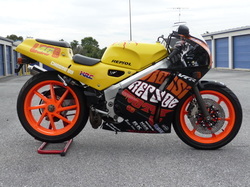 Full Yoshimura/ Suzuki kit GSXR 750. Not the parts you can buy over the counter. 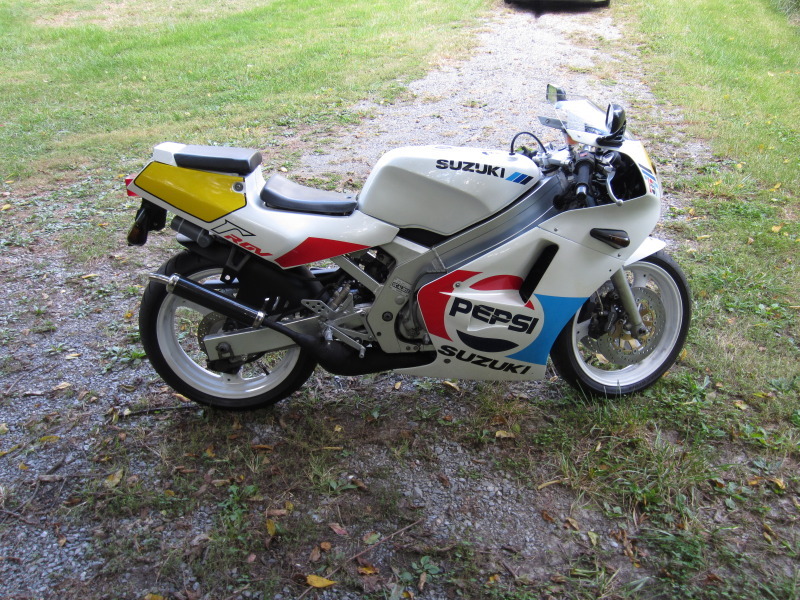 This bike had everything. Lots of Titanium hardware, wheel and swingarm axles, PM racing rotors, AP racing calipers, Carbon Kevlar bodywork, Yoshimura Triple tree and engine covers and aluminum wheels. 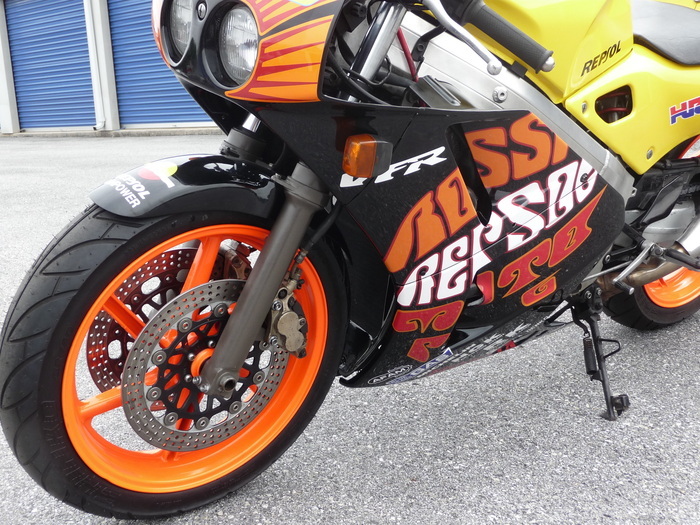 This bike had 160hp at the rear wheel. Only weighing 350lbs, this bike was a monster! 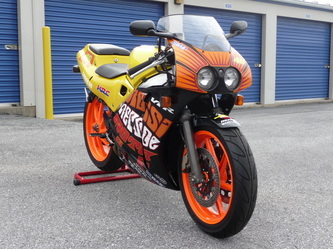 This turned out to be my personal track bike for the summer 02. You could not miss me. Notice the Yoshimura Triple clamps. They were from the Hooters bike above. Tell me if you ever saw a pair of them around. The lowers were triple the size of a normal pair. Beautiful Monoposto with custom black wheels. 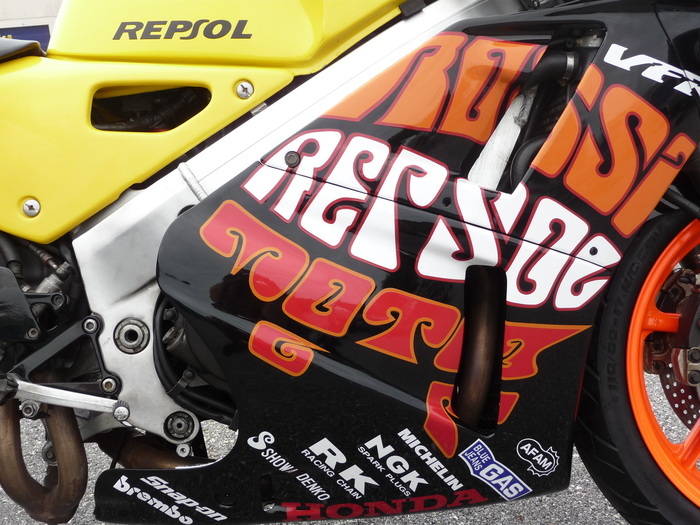 Full Termignoni Cabon Fiber exhaust opening up that great Ducati sound. Imported to the states from Spain only for a few years. 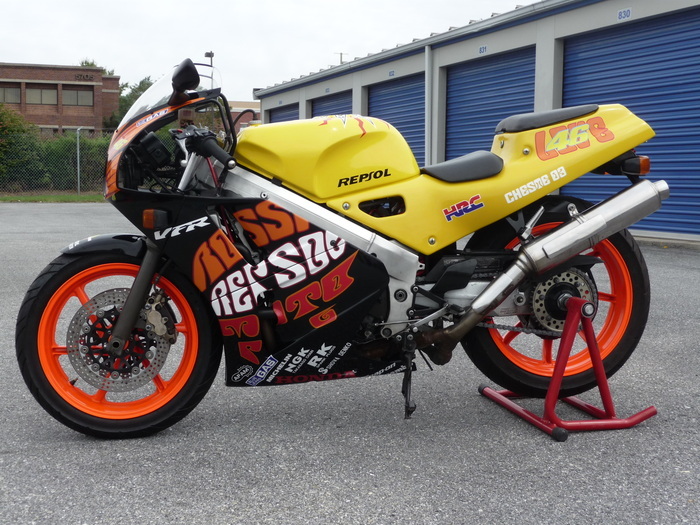 These rare bullets are a blast to ride, especially this one modified with Metrakit 80cc racing parts. 2 stroke fun on the streets! 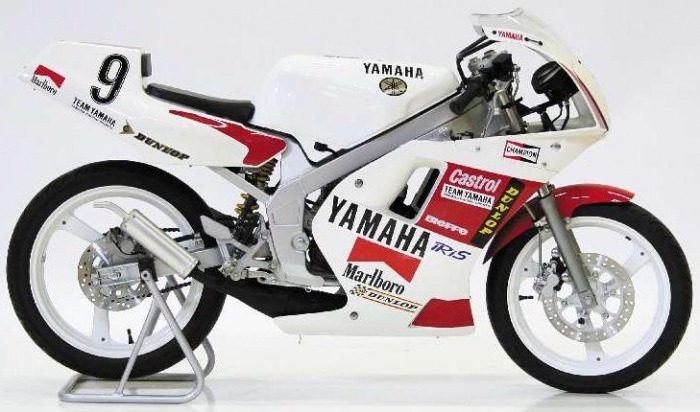 Yamaha produced a limited number of TZ50 production race bikes between 1990 and 1991 specifically for use in a Japanese National Championship. Subsequently a very limited number of the machines were exported to the United States and Europe. This one in particular is in excellent shape. Looked as if it was removed from the crate within the year. The Marlboro Yamaha pics are one of the very few found on the internet. 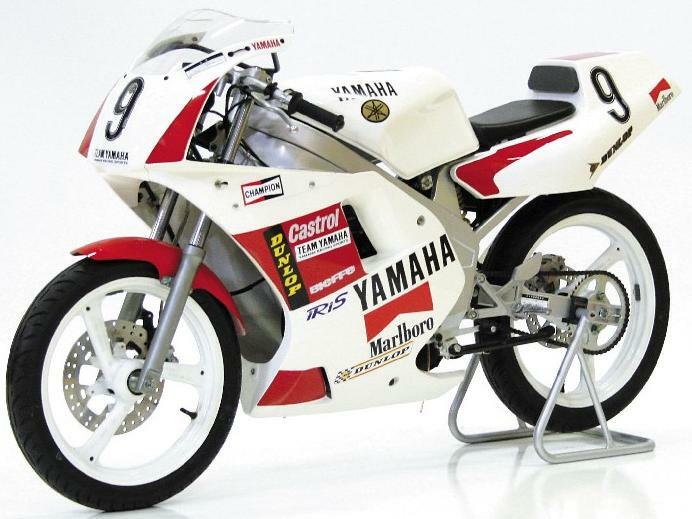 The Yamaha YSR50 was a miniature sport bike that was produced and sold by Yamaha during the late eighties and early nineties. The bike featured an air-cooled 50cc two-stroke engine. 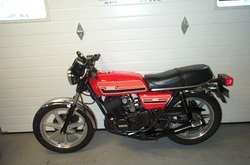 The engine was sometimes swapped out for a larger variety. This one was setup for tracking riding. 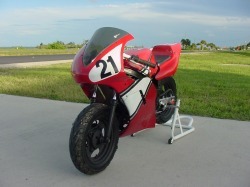 Sporting the R1 replica bodywork, Dunlop TT92 race tires, 65cc big bore engine with Toomey expansion chamber and silencer.